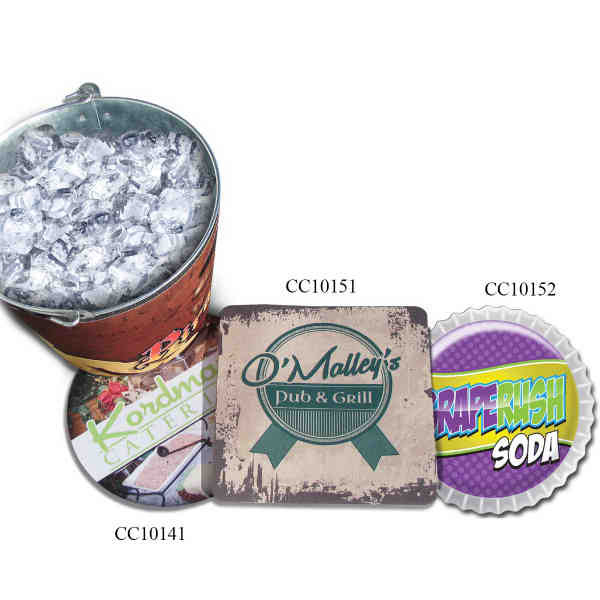 Ice Bucket Coaster, full color imprint. Union made. Made in the USA. Available in Circle, Square and Bottle Cap shapes.